With Pixpa store you can sell all three type of products – Physical, Digital and Services. In the Store section, click on the products link on left hand side. On this page, you would see the listing of all the products that already exist. Filter the products on category and product status basis. Product status as Active (Green dot), Hidden (Grey dot), or Coming soon (Yellow dot). Product type – Physical, Digital or Service. View a product on your live website. Edit a product. You may also just click on the product name. Check Inventory and low on inventory. In the Store section, click on the products link on left hand side. Click on the + Add Product button.This opens a dropdown which lets you choose the Product type that you want to add. Click on Digital Download now. Product Description: Product description supports rich text and HTML so you can even embed a product video in the description, if you want to. Images: Add up to 10 images for your product. You can drag-and-drop images to sequence them after you have added the images and saved the product. The first image in the sequence is taken as the default image for the product. See this article to learn more on how to add images to a product. Ideally images should be JPEGs and around 1000 pixels width. Know more about ideal sizes. Add Digital file for download: You can upload your digital assets (Sound, Images, audio, zipfile etc) up to size of 1 GB. Click on Upload button to select the files. If you want to upload more then one files, then simple Zip them and upload. Supported file formats are jpeg, jpg, png, gif, zip, rar, pdf, psd, tiff, ai, eps, psd, mp4, mp4v, mpg4, mpg, mpeg, avi, swf, mp3, wav, doc, docx, xls, xlsx, ppt, pptx. Product price: The default price of the base variant of your product. Is shown on the products listing page. Compare at price: Optional value to put your products on sale. Compare at price is the un-discounted price of the product and should always more than the product price. 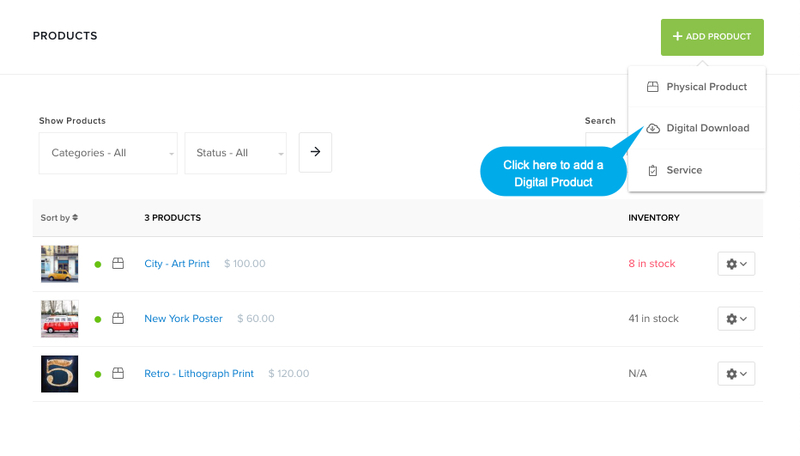 Manage Inventory: Manage the quantity of a particular digital product that is available for sale in your Pixpa store. Know more. Licence/Usages instructions: Include the license / usage instructions for this particular product here. This is shared in the order confirmation email when someone orders this particular product. SEO data – Specify SEO meta data for this particular product. It will over-ride site’s main SEO data, specified in website settings section. Know more. Page URL – Manage the URL for this product. The URL slug is automatically generated using your product title. You can customise it as well. Status: Products can have 3 states (Active / Coming Soon / Hidden). Learn more about Product Status options. 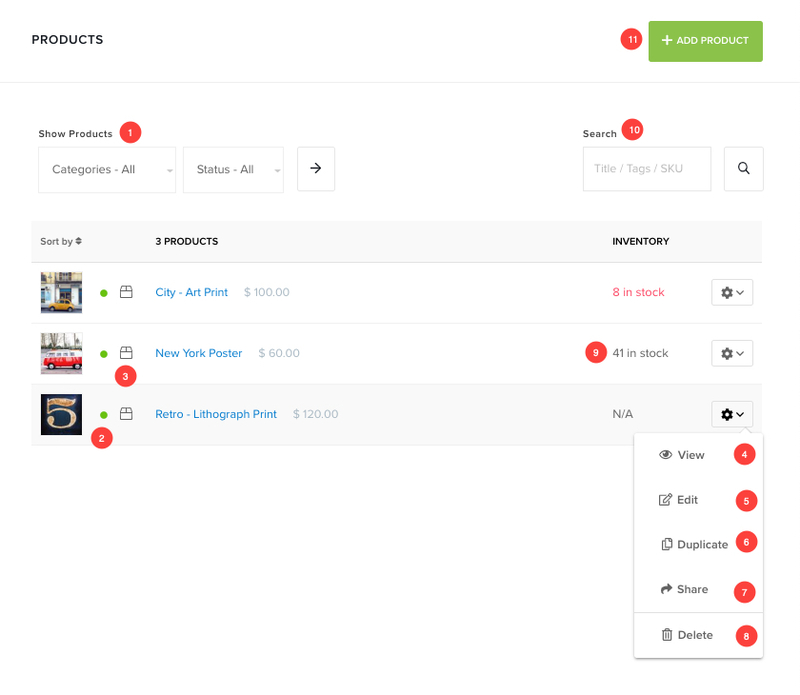 Tags: Add tags to a product to assign them to a category. Tags can also be used to filter products. 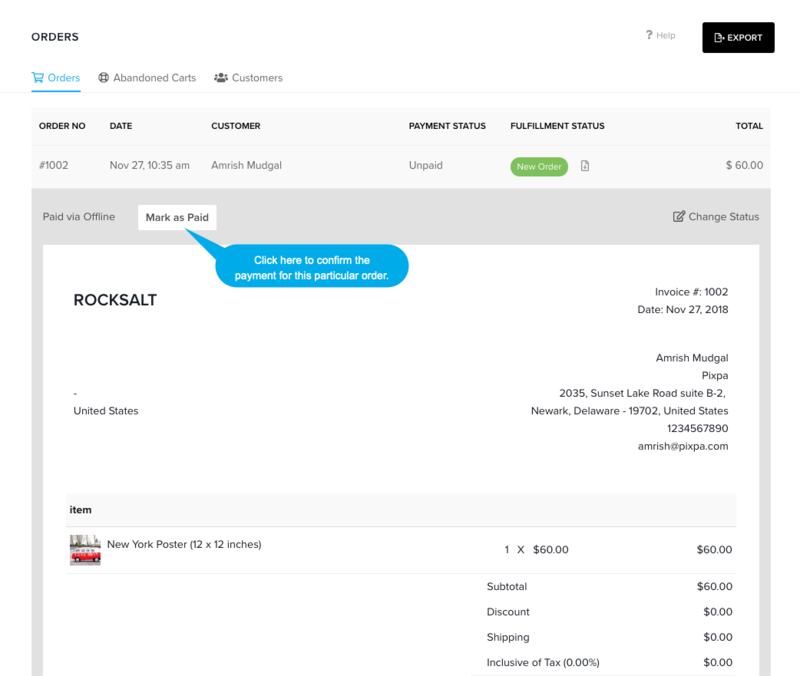 Learn more about how to use tags in products and categories. Date: It’s product creation/published date. Products are sequenced in chronological order by default. You can change the default sequence from store settings. Delete – Used to delete this product. Save the changes by clicking at the ‘Save’ button at the top right corner of the screen. After placing the successful order, a customer will see the order success/thank-you page. And If the order is processed by offline payments, then the customer would not be able to download the digital assets until you confirm the payment and set the order status as paid in orders page. Click here to see How to add a service products. Click here to see How to add a physical products.